Acetaminophen (Tylenol) is everywhere within mainstream medicine these days. It is used by itself for fever or pain as well as in combination with other medicines for flu, moderate to severe pain, cold symptoms or insomnia. Historically, patients have been cautioned not to exceed 4,000 mg of acetaminophen a day as the potential for liver failure can follow from that daily dosage even in otherwise reasonably healthy individuals. I hear from some doctors that the number should be closer to 3,000 mgs, especially for older patients. Pain killers start with as much as 500mg or more per dose taken every six to eight hours. And then there is Tylenol “extra strength” which can bump an individual dose even higher. Some individuals may be tempted by the “if one is great, then more is better” syndrome. And then a person may take an OTC sleep aid that also contains acetaminophen or use a cold formula containing acetaminophen. Remember also that older patients can become confused, because they have multiple pills to track. They can accidentally take another dose beyond what their regimen would dictate. As a geriatric care manager, I have a client whom I tell to set her acetaminophen tablets out in a medication tray like her other meds so that she knows how much is left of the total amount she can safely take each day. The FDA has recently convened to determine just how much acetaminophen should be allowed as a daily limit to avoid problems of liver toxicity, but the jury is still out. So, if you are watching your older parents’ meds, don’t focus just on their prescriptions (which can contain acetaminophen); look in their medicine chest for the rest of the drugs they buy at the store without a prescription. Then do the math. As we once again come together with family and face tough decisions for the start of the coming year, it may not be so much the caregiving tasks that leave you down and out after the holidays. What may worry you the most is facing family members who don’t particularly get along, have differing opinions about how to care for a loved one, or have a hard time working together when it comes to caregiving. 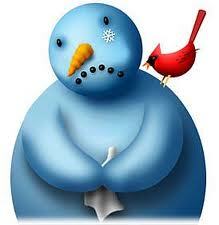 In fact, this can be one of the main sources of stress and holiday blues. It is tough to tackle all the duties that come along with caring for someone while trying to keep the peace at the same time. There are elder care services and resources that can help you with these issues through mediation. As a geriatric care manager, I’ve found that mediation is extremely important and something that can sometimes be glossed over and overlooked. While there are people who specifically specialize in mediation, it is a necessary and crucial part of care management as well. Developing and overseeing care plans as well as finding the right options for families who need it requires participating parties to communicate and work together. In fact, any care decision for an elderly loved one or a person with special needs warrant proper cooperation from everyone involved with that person’s care. This not only creates a healthy environment for the loved one but it allows for a smoother outcome when disagreements happen. This environment may also allow the loved one to have an easier time voicing their input on important decisions in their lives. The mediation process can help families work out disputes that hinder care progress, resolve fights about how to care for their loved one, and mitigate arguments about important care issues such as the possibility of an elder moving to an assisted or independent living community. The important word here, however, is “help.” Geriatric care managers and mediators do not make decisions for the family. They themselves don’t resolve conflict. But instead, they serve as a lifeline and a resource for families who need another person involved, navigating through all the arguing and guiding all parties in the direction that is right for them. They facilitate and ensure that everyone listens to each other and that all voices are heard. As simple as that sounds, communication can be hard to repair if it has been broken for quite a while or if the family is settled into their usual ways of handling disputes. During the holidays, one wish from many caregivers might be for their family to simply get along for the sake of their loved one. It is the one key that will prevent significant amounts of unnecessary stress and worry. Charlotte Bishop is a Geriatric Care Manager and founder of Creative Case Management, certified professionals who are geriatric advocates, resources, counselors and friends to older adults and their families in metropolitan Chicago. 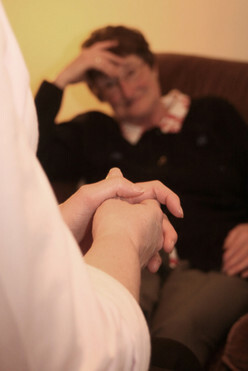 CCM is a leader in elder care services. Please email your questions to ccbishop@creativecasemanagement.com. At CCM, home and safety are as important to us as to you, so it’s no surprise that it’s a common topic of our discussion. I have asked Gregory Peebles to talk about this topic from the vantage point of his experience. Gregory is both a Certified Senior Advisor (CSA) and Certified Dementia Practitioner (CDP) whose work focuses on helping aging adults and folks with limited independence by providing resources and support to help them discover and lead their best life. An Associate Care Manager, Gregory has been a part of our team for over a decade. – Charlotte Home. Not only is there no place like it, conveniently located wherever you hang your hat, that fits--like an old, comfortable shoe, but it’s also a place that once we leave, to which we can never return. While most find this very stressful, some are secretly happy for a new chapter. Indeed, lots of people confirm they like adventure, but small is the number who enthusiastically embrace major residential change. So what’s the difference? Well, for one, the direction of action: people elect to go on adventures, but change just seems to happen to us. This is a major life change, and those inclined deserve the opportunity fully to grieve their loss of home sweet home. However, once the initial grief has been addressed, we’ve got work to do! Change isn’t the end, and there’s plenty of life and happiness yet to be found no matter the location. Where that happens is up to you. The diversity of the experience of aging can be exciting, and, with the number of Americans joining the group of aging adults, the kinds of communities that now exist will only become more varied. Right now the kinds of accommodations available generally fall into a few groups. Active Adult Communities – Often neighborhoods with individual bungalows, these communities are based on the model of so-called “snow birds” who opt to transition to such a residential community rather than maintain a larger space. Living in one of these communities requires a high level of independence (and income). Individuals or couples with highly social personalities thrive in this setting. Independent/Congregant Living – Facilities of this type, while slightly less luxurious than an Active Adult Community, feature many of the same accommodations with a denser population. In an urban setting, they are often high-rise apartments indistinguishable from nearby housing, with dining, health care, and leisure activities on the premises. If considering this type of facility, be sure to keep nearby entertainment and accessibility in mind. 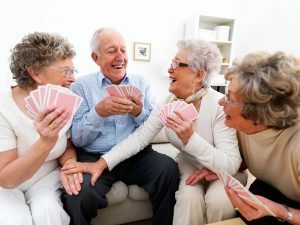 Assisted Living – A senior for whom it has become difficult to care for themselves either because of physical limitations or decreasing independence will often find an exciting new life in such a facility, either through public assistance or private pay, where skilled staff are present to provide diverse care. If the care receiver is also living with cognitive decline, such a facility with a “Memory Unity” may be advisable. Skilled Nursing – On average, aging adults who become residents within skilled nursing facilities – SNFs - are those who have health problems, who require 24-hour care, and whose ability to manage the Activities of Daily Living is severely impaired. Nursing home care, too, is expensive, but public assistance programs such as Medicare or Medicaid relieve the cost. Change is difficult, but not unmanageable. New identities await us and are only limited by our willingness to embrace them and the imagination we bring to our experiences. Change is scary, and rightly so, but when we weather even the most difficult transitions together, and our lives are no longer recognizable from before, we may--if we choose to--learn that home is something that we take with us wherever we go, and that it is recognizable not by its address, but by the love shared and the people with whom we share it, common to both our memories and our futures. One final thought: This is when people often reach out to Aging Life Care Professionals to help smooth the transition to a new residence and to ensure ongoing care. CCM has helped countless families like yours succeed in this new chapter. Contact us today and let us assist you. Charlotte Bishop is a Geriatric Care Manager and founder of Creative Care Management, certified professionals who are geriatric advocates, resources, counselors and friends to older adults and their families in metropolitan Chicago. Please email your questions to info@creativecaremanagement.com.